Monteiro camping and Self-Catering offers visitors the best of both worlds. It is situated ± 11 km south of Windhoek on the B1 tar road and less than 15 minutes drive from the traffic circle to Rehoboth. It lies in a beautiful setting surrounded by nature with wonderful views to the nearby Auas Mountains. 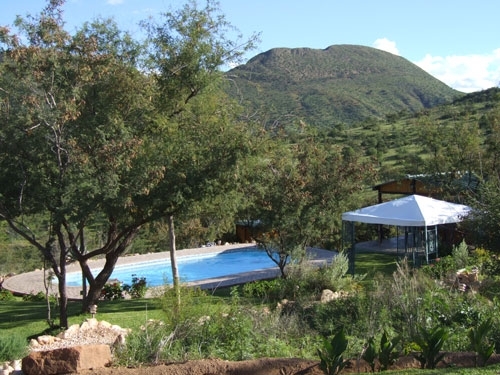 Opened in 2005, Monteiro offers guests a choice of accommodation; Chalets, Campsites and Safari Tents.